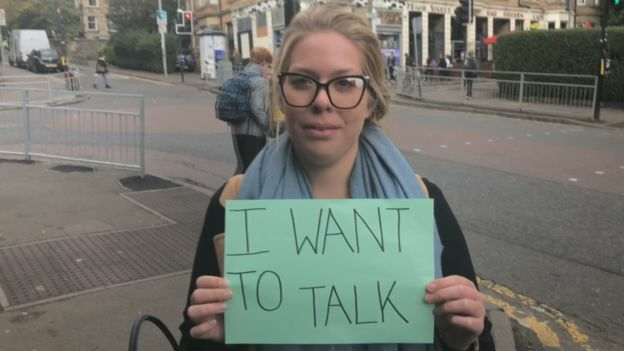 The number of university students in Scotland seeking support for mental health issues has increased by two-thirds over five years, analysis shows. The BBC asked universities across Scotland for the numbers of students seeking some form of support. It found more than 11,700 students asked for help in 2016-17 compared with about 7,000 in 2012-13. The 68% increased among students in Scotland was higher than the 53% total for the UK over the same period. 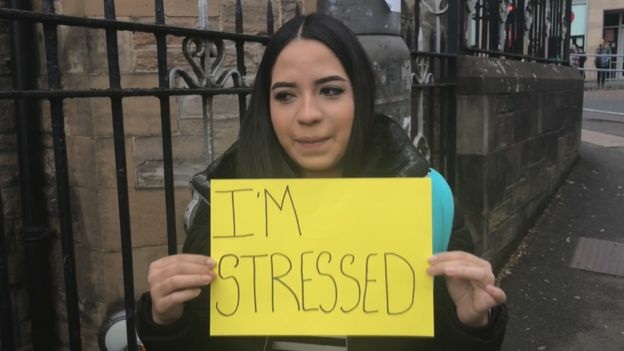 University counsellors and wellbeing staff told BBC Scotland that they deal with cases ranging from anxiety, depression, gender-based violence and body dysmorphia. 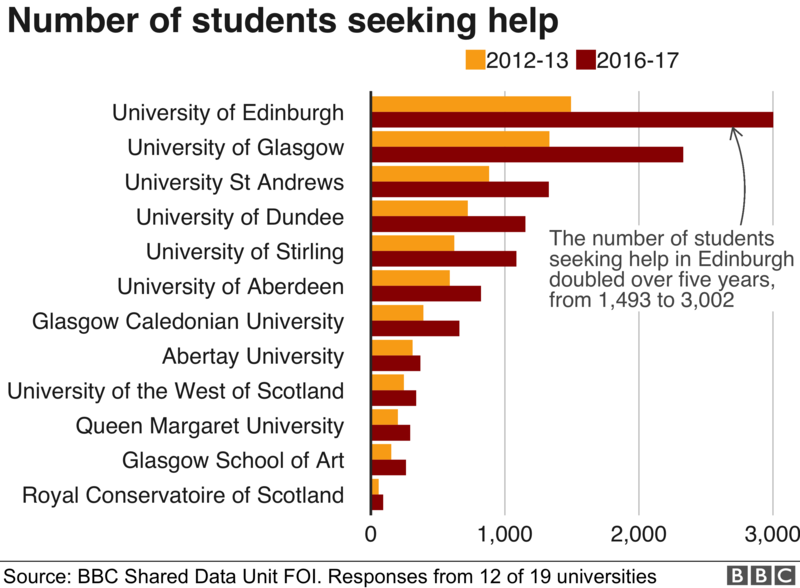 The figures – obtained by the BBC’s Shared Data Unit through freedom of information requests – showed that only 12 of Scotland’s 19 universities recorded how many students sought help for their health help over the five-year period. Connor Smith was in his third year studying computer games development at the University of the West of Scotland when his close friend, who was also a student, took his own life. “I was really shook up and didn’t know what to do with myself,” he said. The university’s counselling team quickly offered to help Connor. 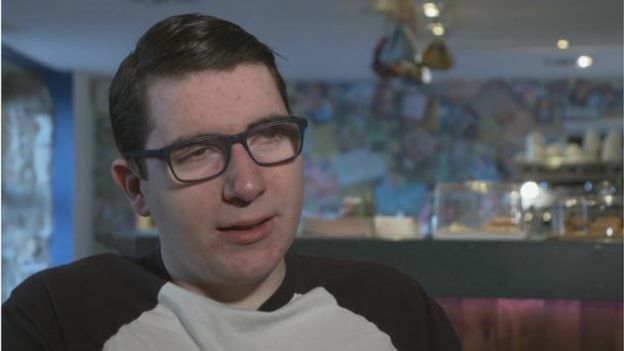 “I couldn’t speak to my family because I felt like I was burdening them,” he said. Connor said that he was struggling not only with the death of his friend but also his future prospects. He said: “One evening I sat down and thought ‘what am I doing?’. Connor said he did not know what would have come of his life had it not been for the university’s support. He said: “I wouldn’t have done so well. “I might’ve quit university and if I did that, I don’t know what I would be doing. Connor returned to counselling for a second time during his final year of studying. He was struggling with stress, overeating and had money worries. He said: “[The support] wasn’t immediately available like before but, when I did get it, being able to speak to someone was so helpful. Ronnie Millar, director of counselling at the University of Edinburgh, said there is a “pernicious perfectionism” among students, which can affect their mental health. He said: “When I was at university, there were no fees and we had student grants. Mr Millar said it was not helpful to label young people seeking help with terms such as snowflake, which imply they are less resilient than previous generations and too emotionally vulnerable. He said: “I don’t like the term snowflake. I think it is a pejorative. Mr Millar said that while there’s been a doubling in the male students coming forward for help for their mental health, the “proportion” has stayed the same over the five-year period. 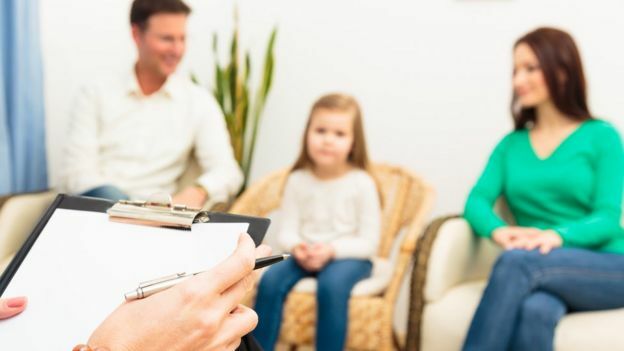 Dr Phil Quinn, head of counselling and psychological services at the University of Glasgow, said that while there was greater awareness of the help available, a “saturated” NHS had resulted in fewer community services for students to access mental health support. The University of Glasgow employed 20 staff in 2016-17 – ranging from cognitive behavioural therapists and a consultant psychiatrist to a counselling manager – to assist with the 2,330 students that came forward that year. Quinn believes that staff numbers are sufficient to meet demand, and that the increase in students coming forward for help is partly down to a “24-hour social media bubble” where they are exposed to “criticism, bullying, and abuse”. Jackie Main, who is the director of student life at Glasgow Caledonian University, said it was not just the volume of students seeking support that was increasing but the complexity of the issues they presented with. “We see a lot more crisis students than before,” she said. “That could mean a student is actively self-harming, threatening suicide or requires being sectioned or hospitalised. At Glasgow Caledonian University, the number of students seeking support in 2016-17 hit 661, up 69% since 2012-13. Ms Main added: “Anxiety and depression are the two big issues we’ve see increases in. Eight of Scotland’s universities provided the BBC with their total budgets for mental health services – which in some cases included services that don’t just support student mental health, such as a disability service – in the five years to 2016-7. It revealed an increase of 31% from £2.4m to £3.1m. The University of Strathclyde (which did not provide complete figures for the number of students seeking help between 2012-13 and 2016-17) was the only institution to report a decrease in its overall budget over the five year period, down by 18%. A spokeswoman for the university put the drop down to “re-structuring” and emphasised that significant investment – about £400,000 – had been made since 2017, including the creation of three full-time and 12 part-time posts on the mental health and wellbeing teams. Hannah Moles was in her third year of studying maths at the University of Strathclyde when she approached student services for help. Not only had she failed her first set of exams but she was also caring for her grandmother who had dementia. She said: “My brother and I were going over three times a week to make my gran dinner, get the shopping and keep her company. Hannah said that when she wasn’t caring for her gran, working in a part-time job which paid for her flat, or sleeping, she’d be in the library trying to study. “I was really tired and had things on my mind constantly,” she said. Hannah said that eight weeks after approaching student services, she received her first counselling appointment. However, by this point Hannah had failed her second round of exams – meaning she wouldn’t be allowed to return for the fourth year of her degree. “Finding out you’ve failed all your classes is horrible especially when you have put in the work but it is still not enough,” she said. 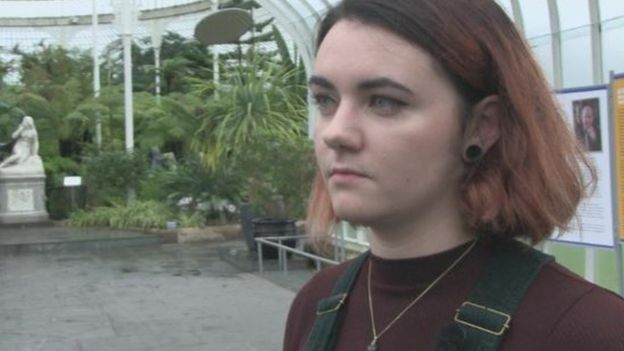 Hannah said that she was grateful to her university for providing mental health support but more counsellors would help meet the increasing demand. “I am lucky that I got the support I needed,” she said. The Scottish government’s most recent Programme for Government promised to provide more than 80 additional counsellors in further and higher education institutions over the next four years, with an investment of about £20m. However, there is no indication yet how the funding will be split or which universities will receive more counsellors. Health Secretary Jeane Freeman said every student “should have access to emotional and mental well-being support”. Details of organisations offering information and support with mental health issues are available at bbc.co.uk/actionline, or you can call for free, at any time to hear recorded information on 0800 888 809. The NHS in Scotland is not financially sustainable and its performance has continued to decline, the public spending watchdog has warned. Audit Scotland said health boards were “struggling to break even” and none had met all of the key national targets – with NHS Lothian not meeting any. It highlighted increasing demand on NHS services, and rising waiting lists. 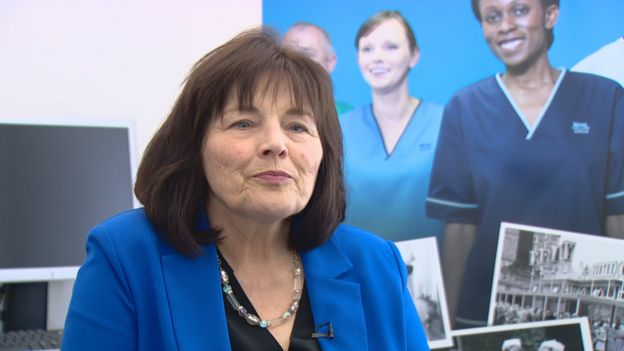 Health Secretary Jeane Freeman said the government was already taking forward Audit Scotland’s recommendations. But the watchdog’s report prompted widespread criticism of the Scottish government, with the Conservatives claiming it should “make shameful reading for the SNP”. The report said pressure is building in several areas – including the recruitment and retention of staff, rising drug costs, Brexit and a significant maintenance backlog. 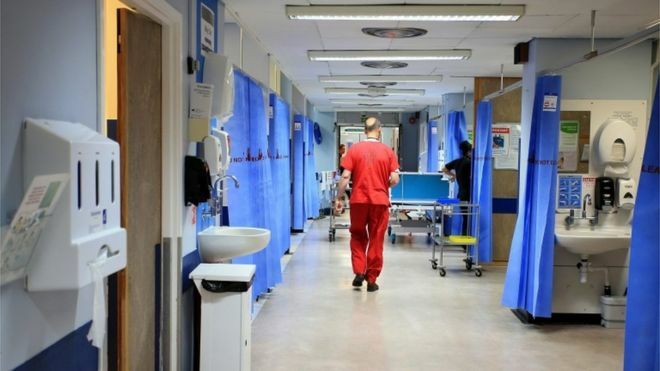 The report warned that the NHS in Scotland is “not in a financially sustainable position”, with NHS boards “struggling to break even, relying increasingly on Scottish government loans and one-off savings”. And it said the “declining performance against national standards indicates the stress NHS boards are under”. The only target met nationally in 2017/18 was for drugs and patients to be seen within three weeks. Performance against each of the eight national targets fell, with the the greatest drop in Child and Adolescent Mental Health Services (CAMHS). The proportion of youngsters seen by CAMHS within 18 weeks fell from 83.6% in 2016/17 to 71.2% in 2017/18. The Scottish government invested £13.1bn in NHS services last year, but Audit Scotland said when inflation was taken into account there was a 0.2% real terms drop in cash. Health boards made “unprecedented” savings of £449.1m, but many relied heavily on one-off savings for this, while three boards – NHS Ayrshire and Arran, NHS Highland and NHS Tayside – needed £50.7 million of loan funding from the government to break even. This was “significantly more” than in previous years, with Audit Scotland saying four boards have predicted they will need a combined total of £70.9m in this current financial year. The report said the “NHS is managing to maintain the overall quality of care, but it is coming under increasing pressure”, adding Brexit would create “additional challenges” for the health service. However the scale of these challenges was “difficult to assess” because of “significant uncertainty” over the terms of the UK’s withdrawal deal from the European Union, and because data on workforce nationality is not routinely collected. Auditor General Caroline Gardner said: “The performance of the NHS continues to decline, while demands on the service from Scotland’s ageing population are growing. What has the Scottish government said in response? She added: “While our NHS faces challenges, common with health systems across the world, we are implementing a new waiting times improvement plan to direct £850m of investment over the next three years to deliver substantial and sustainable improvements to performance, and significantly improve the experience of patients waiting to be seen or treated. What other reaction has there been? Conservative health spokesman Miles Briggs claimed the NHS was “facing an unprecedented challenge” with boards across the country “staring into a black hole of more than £130m. Dr Lewis Morrison, chairman of the British Medical Association (BMA) in Scotland, said the “stark warning” from Audit Scotland “could not be any blunter”. But he added this would “come as no surprise to frontline doctors who have faced the consequences of inadequate funding year after year”. And RCN Scotland director Theresa Fyffe said the report “underlines what those in the nursing profession have been warning about for a number of years – an unsustainable pressure on staff to deliver more care. To mark World Mental Health Day last week, Labour’s Mary Fee lodged a motion at the Scottish Parliament calling for greater support for people who need help with their mental health. Ms Fee’s motion says every individual who experiences poor mental health should have access to well-funded and adequately resourced support services within their local communities. It is estimated that one in four people in Scotland suffer from poor mental health. This year’s annual theme for World Mental Health Day, that took place on October 10, is young people. Research conducted by Stonewall Scotland in 2017 found that 58 per cent of lesbian, gay or bisexual pupils and 96 percent of transgender pupils have deliberately harmed themselves. Ms Fee said: “It is important that politicians, public servants and public bodies help to raise the profile of mental health. “I believe that in order to break the stigma around mental health we must widen the conversation and deepen our knowledge and understanding of the range of mental health issues that people may experience throughout their lives. “I am unequivocal in my belief that mental health should be treated with the same priority as physical health. In marking the 70th anniversary of the NHS, Scottish Labour outlined a 10-point plan in which they pledged to provide access to a mental health counsellor for every school pupil in Scotland and improve the access to crisis mental health services. The Scottish Government has since promised to invest in extra mental health services in schools, though Ms Fee warned that any dilution of the pledge will cause greater difficulties for children and young people accessing much needed treatment and support. Clydebank MSP Gil Paterson added:“Most families will have known of someone with a mental health problem who has kept it hidden. “The Scottish Government have done a lot of work on raising awareness of mental health and tackling the stigma associated with it. “This work has resulted in a lot more people coming forward for treatment and the Government recognises that this puts added demands on the service, which is why the SNP Government has allocated an extra £250 million for mental health services, which includes £60m for schools to support 350 counsellors and 250 extra school nurses so that every secondary school will have a counselling service. One of the organisers, Ash Mullen, said eight people took part in last night’s walk and many more were promising to take part in future walks. Ash and her friend Paula O’Neill organised the walk as part of their Let’s Talk Tayside campaign. The two student nurses have formed the group in a bid to get people talking about their mental health concerns. Ash said: “We thought the walk would be a good idea to highlight the number of people who go to the bridge when they are feeling suicidal. “Paula and myself are overwhelmed with the support we have received so far. “We now plan to hold the walk twice weekly and would love as many people as possible to join us. “We are very proud of what the people of Dundee are doing to help themselves and others. More than 2,000 people have now joined our group in just a week. The next walk will be held next Tuesday. Drug use to tackle mental health conditions in Tayside and Fife has rocketed by nearly two-thirds, it has been revealed. 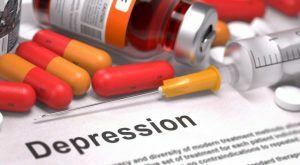 NHS Tayside has increased its use of anti-depressants by more than 73% since 2007/8, while treatments for psychosis and related disorders have risen by 42%. Pharmacies under the health board handed out nearly twice as much dementia medication, an extra 95%, and there was also an increase in the number of doses used to treat ADHD of nearly 175%. NHS Fife recorded a slower rise in every treatment type except anti-depressants, where there was an increase of more than 90%. However, it experienced an overall rise of nearly 65%. Only hypnotics doses decreased, with a drop of nearly 11% for Tayside and just over 2% for Fife. NHS Tayside, which paid out nearly £9.5 million for mental health drugs last year, an increase of more than 37% on 2016/17, insisted drug therapy can be important to recovery.